Planning is the process of thinking about and organizing the activities required to achieve a desired goal. Planning involves the creation and maintenance of a plan. As such, planning is a fundamental property of intelligent behavior. 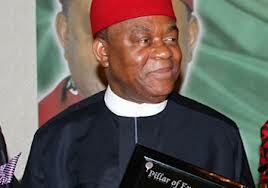 Planning is the hallmark of the Governor Theodore Orji led administration in Abia State. No wonder His Excellency’s systematic approach to issues has endeared him to the people of the State. Despite inheriting N29 billion when he took over leadership in 2007, Governor Theodore Orji has not borrowed money from any commercial bank to finance projects under his Legacy programme. However, successes so far recorded by his administration in healthcare, security, agriculture, housing and road construction and rehabilitation are as a result of prudent management of scarce resources. According to Orji, I inherited N29 billion when I took over mantle of leadership in 2007, which we are still battling to clear. We are also still paying other loans inherited by previous administrations in the State. “What I met on ground here, as IGR was N150 million monthly. It is of recent that we started getting N250 to about N300 million monthly and whatever we generate internally, we add it up to our federal allocation to run government. The dream of the Governor Theodore Orji led administration in Abia State is to leave a lasting legacy of sustainable development and transformation in the State. 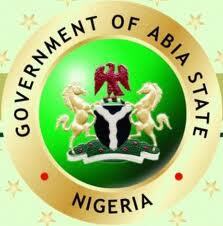 The Government in the past two years has resolved to put Abia State on a solid base that can stand the test of time. This process may be slow but the result will be enduring. And this is the only way to go for the sake of posterity. It is in the pursuit of the above dreams that the legacy projects of the administration have to continue. We are building a befitting government House for Abians in Umuahia and the first State Government funded secretariat for our civil servants. The old secretariat built by the Federal Government which was in a dilapidated condition has been rehabilitated. And this is because we recognize these projects including the building of a world-class conference centre as symbols of the State that have been ignored over the years. In a bid to continue on this pedestal of prudent management of scarce resources, His Excellency, Governor Theodore Orji recently charged Ministries, Departments and Agencies (MDAs) in the State to ensure that their 2014 budget data is captured in the required degree of detail, with the source and reason for every transaction identified. Governor Orji, affirmed that the measure will assist observers view the budget information in the appropriate context and implored them to show due diligence in the budget process, especially as the country moves from the current cash to public sector accounting standard and project to programme based budgeting approach. The State Government in its effort to introduce a lasting legacy in the fiscal management process in the State consciously signed in with the comity of State’s in the country to evolve a budget process which has become robust in line with international best practices. According to Orji, the budget defence session will bring about a budget system that is designed for better policy formulation, fiscal planning, budget analysis, accountability, routine financial management and international comparison. Governor Orji maintained that it is for that reason that the State is witnessing the high level of infrastructural and social development that are ongoing in the state. The truth is that Abia State is making giant strides to emerge as one of the strongest economies in Nigeria is not in doubt, given the infrastructural foundation laid by the current administration. 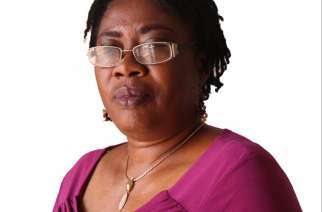 The 2014 Abia State budget will be programme based and capture the MDA’s proposals and reflect government policy priorities within the limit of the State’s fiscal targets, affirms Adanma Iheuwa, executive secretary, Abia State Planning Commission. 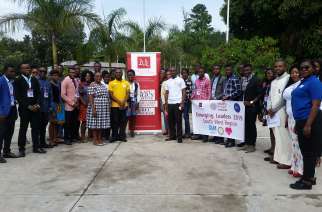 Abia is among the first State’s in the country to key into the new approach of International Public Sector Accounting standard (IPSAS) for public sector at all levels of government and approved by the Federal Government. 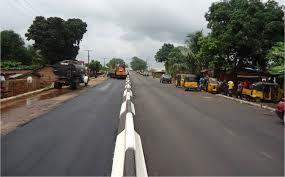 What we want the people of Abia to know is that Rome was not built in a day, if the past administration had laid a solid foundation, what the Governor would have done is to consolidate on it, however previous administrations did nothing, which HIS Excellency is now trying to put in place. *Ndukwe is the chief of staff to Abia State Governor.